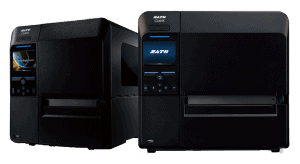 The SATO CLNX Thermal Printer is the next generation of label printers for SATO. Offered with advanced support for barcode styles, character sets, and RFID encoding. 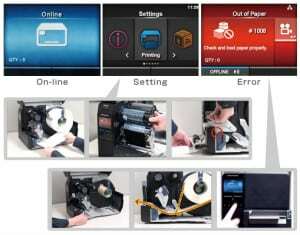 From the inventor of the thermal printer forty years ago, SATO’s CLNX Series. SATO CLNX Thermal Printers incorporate innovative advantages within in a beautiful design. They deliver a printing asset that performs beyond expectations. Built strong to withstand the demands of industrial printing applications and environments. Die-Cast Aluminum print head mechanism. It provides consistent label and ribbon movement. 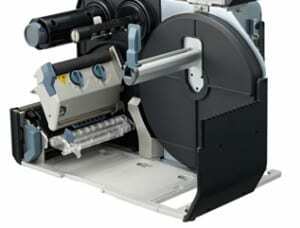 Works to virtually end label shift or ribbon wrinkling. Base plate openings. They allow for securing printer to raised and uneven platforms and for under-counter media feeding. Print High-Quality Barcode Labels Fast – High-Speed Processing and Throughput. 100 MB user accessible memory. Allows for storage of formats, large graphics, custom fonts and other downloads. The benefit is allowing for faster throughput. Visit SATO America for more information.